In the presence of Dutch Prime Minister Rutte, they signed the Biomass for All ambitions in New Delhi, during the Dutch trade mission. Sixteen Dutch and Indian parties are working together on innovative projects for added-value to biomass. In the presence of Dutch Prime Minister Rutte, they signed the Biomass for All Memorandum of Understanding in New Delhi, during the Dutch trade mission. The first challenge that they will take on, is the challenge of upcycling agricultural waste, mainly paddy straw. This is now being burned in the fields, causing air pollution and soil degradation. The collaborating companies and knowledge institutes combine their knowledge and innovation to convert waste into high-quality products. Every year, about 20 million tonnes of straw remain on Indian agricultural land, which is burned in the open air. This leads to smog, and has negative effects on the local population, in the countryside and in the cities. This group of entrepreneurs, knowledge institutes and NGOs will do something against this. By converting the waste into quality products and energy for the local and international market, we reach a win-win situation for all parties involved. Biomass for All signatories are: Avans University of Applied Sciences, Biosfera, CCS Haryana Agricultural University, CRB, Ecor, IndiaConnected, CSR Netherlands, NettEnergy, PaperWise, Punjab Government, Rika Biofuels, Somaiya Group - Godavari Biorefineries, Sonalika - Solis, TERI, LM Thapar School of Management, Wageningen University & Research. Biomass for All is an initiative of the INDUS Forum, a matchmaking platform of CSR Nederland and the Dutch embassy in New Delhi. A place where Dutch and Indian business partners find each other. They share solutions and challenges and work together on sustainable business cases. 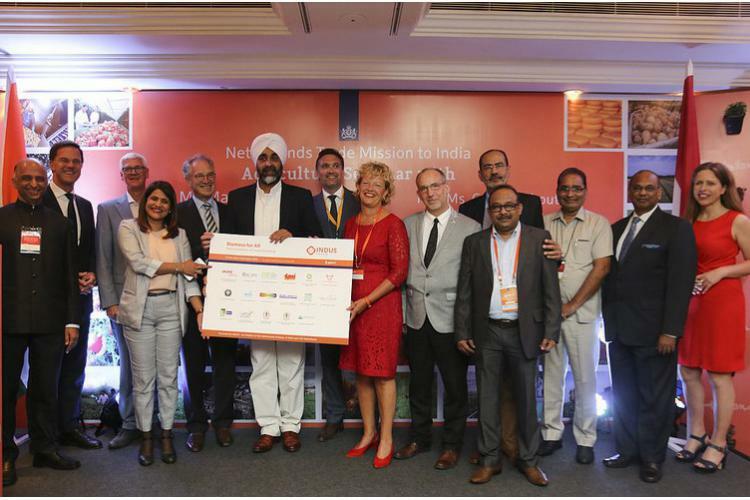 The platform promotes sustainable trade between the Netherlands and India. For more information about the Biomass for All MoU, contact Mike van den Hof ([email protected]; 06 22714485).